“Ugliness” is an appraisal of ugliness that was first articulated in an encyclopedic entry I authored in 2003, that engaged the function of ugliness in art history, literature, and aesthetic theory. 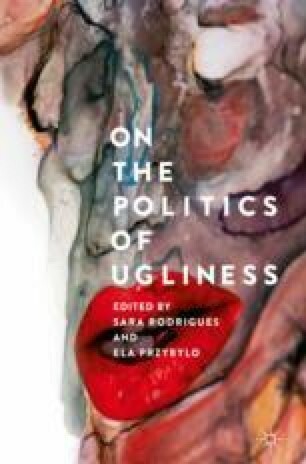 This piece to be republished in On the Politics of Ugliness provides a comprehensive overview of ugliness, tracing its historical evolution, its manifold iterations, and the political salience of the beauty/ugliness dichotomy. In providing a robust history of the philosophical, literary and art historical understandings of ugliness as a concept and a category, I situate ugliness as a category of marginality, demonstrating the ways in which it is a politically invested category shaped by issues of hierarchy, value, and power.